Gru knows what he wants. The Despicable Me franchise is more than imaginative. And cute. 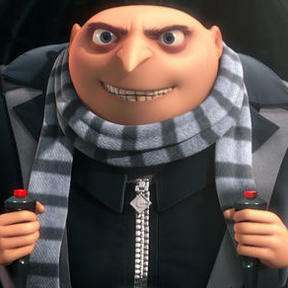 In the original story, Gru epitomizes lots of people. The minions aren’t the only ones he views as existing only for his purposes. He owns them. Hardly. He’s doing what countless people exhort us all to do – fulfill yourself by doing what YOU want. Make your life all about YOU. Find out what YOU want to do. Find out what YOU are best at. Stop doing what YOU don’t want to do. Start doing only the things YOU want to do. I’ve been a Christian for 45 years now. I’m still learning and admittedly, a long way to go in many respects. However, I can’t get past what the Bible teaches. I can’t buy into the popular notions about happiness, pursuing passion and success. I confess it’s a mindset. Well, partially. But it’s much more really. It’s a faith thing. It’s a belief thing. It’s a truth thing. Jason Whitlock wrote a story about Tiger Woods, who came in 6th at the British Open this weekend. Whitlock talks about Tiger’s curse. Bad karma for his past sins. Yet, there’s really nothing to prove that such things exist. Bad behavior has consequences. Bad behavior is often found out. See Aaron Hernandez, Bernie Madoff and scores of other people who behave badly. But this isn’t about scoundrels. It’s about us. Ordinary people chasing dreams. Average people struggling to rise above average. • The other day I made this post on Facebook (my personal page). I would appreciate your “liking” my BulaNetwork page. 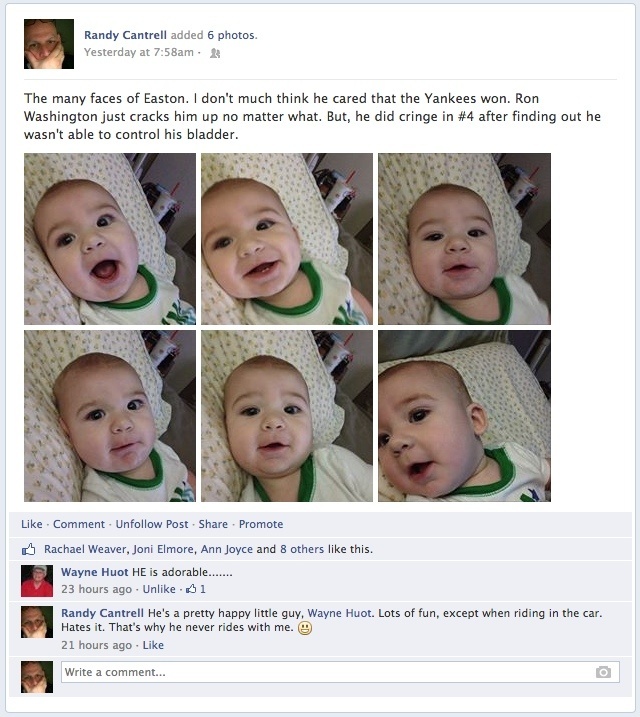 Easton Cantrell, my grandson, is about 6 months old.